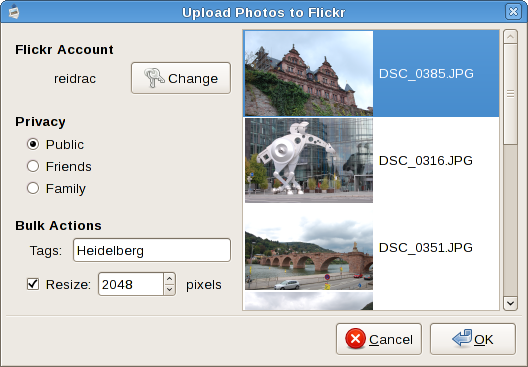 This is a simple GUI to upload pics to Flickr from Nautilus file browser (should work with KDE though).This application is Free Software (GPL version 3) and uses the Flickr API, but is not endorsed or certified by Flickr. Select the pictures you want to upload to Flickr on you file browser and right click to open them with this application, and you're done. Easy and neat.